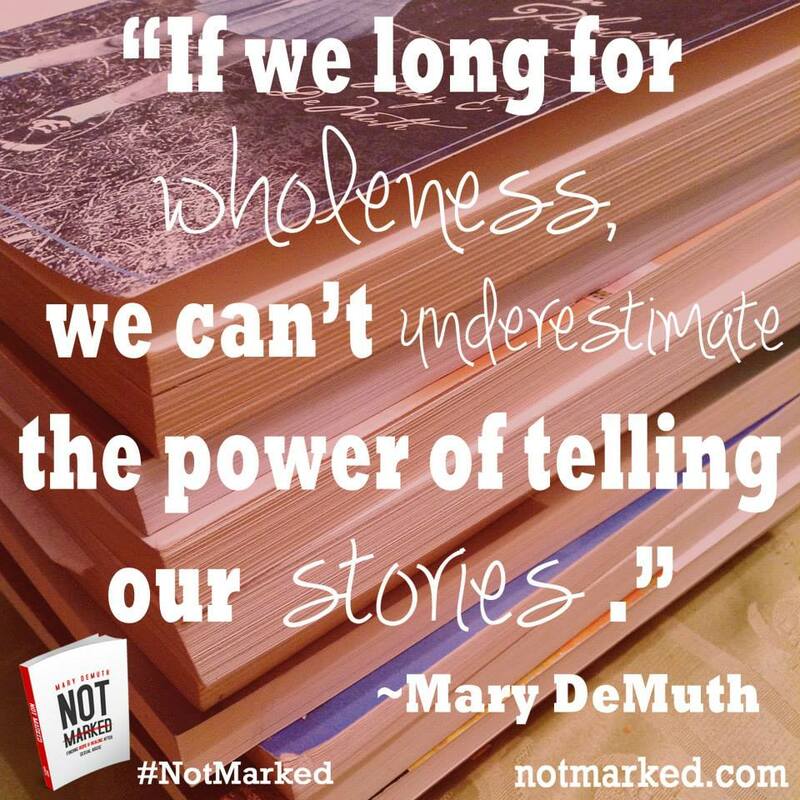 Grab the power, tell your story, start the healing. 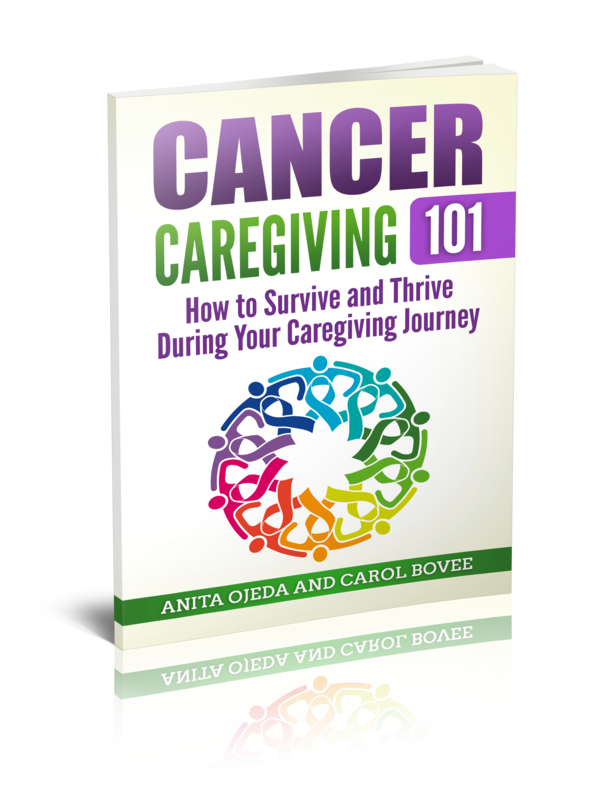 While this is primarily a blog about the cancer caregiver’s journey, there are other types of caregiving that millions of people perform day after day, year after year. Some times, caring for another person involves much more than addressing their physical pain, comfort, well being and advocating for a loved one’s healing—it involves coming alongside of someone who has experienced trauma of the mind and soul: caring and loving someone who has experienced sexual abuse, mental abuse or any type of relationship abuse. When a ‘traditional family caregiver’ stands by a loved one who has received a dread diagnosis of cancer, Alzheimer’s or dementia, at least the elephant in the room has a name. When a person marries or falls in love with or parents the victim of sexual abuse, well, the elephant often remains nameless because the victim is often too afraid to speak out and even reveal that a traumatic experience (or series of experiences) occurred. The elephant comes between the victim and the ones who love and care about her/him. Its huge, silent body creates a seemingly insurmountable barrier to communication. Just when things appear fine, it will raise its trunk in a silent bellow that only the victim understands. Relationships seem hopeless. Enter hope. Fellow blogger and writer, Mary DeMuth, has written a beautiful duet of hope that sings out to victims of sexual abuse (and she knows what she’s talking about, because recovering from childhood sexual abuse has been her journey). At the end of each chapter, her husband, Patrick, shares how he as her ‘caregiver’ (the one who loves her and advocates for her healing) has learned to come alongside his wife and create an environment of healing and open communication and acceptance. If you’ve suffered from sexual abuse, or if you love someone who has been a victim, Not Marked: Finding Hope and Healing After Sexual Abuse, is an invaluable resource for you. Chances are, someone you know has been a victim, and it’s time we named the elephant and offered hope and healing from the silent cancer of sexual abuse. 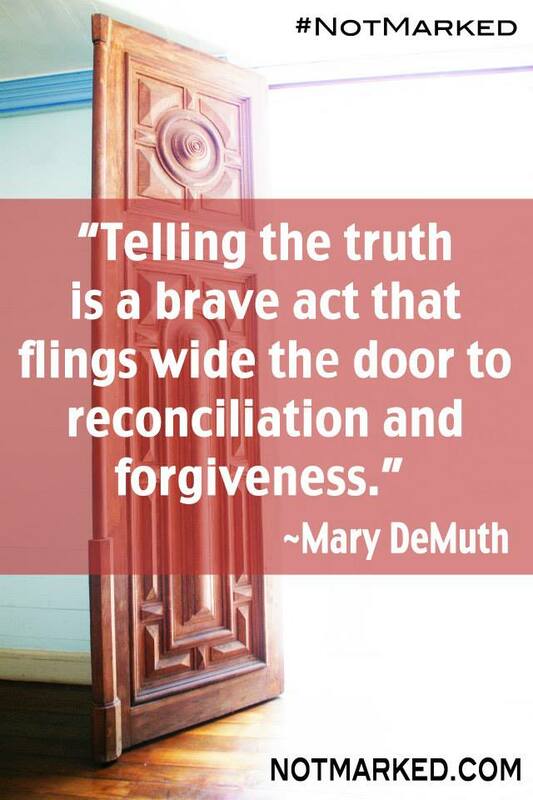 You can find out more about Mary DeMuth, her journey and her books here, or you can watch a short video about their story. I think every pastor, counselor, youth leader, or educator should read Not Marked so that we are equipped to come alongside victims and offer hope, healing and understanding. We don’t have to be a licensed counselor to be the catalyst for change. We just have to have some basic understand of what sexual abuse victims face in order to help them on their journey (don’t get me wrong, chances are a sexual abuse victim would greatly benefit from professional help–but it’s the loved ones, caregivers and the helping people in their daily lives that make a huge difference on their journey). Be prepared for when the door flings wide open and the healing begins.